If you're looking to put a simpler drivetrain on your bike, then nothing beats a 1x crankset. A 1x drivetrain eliminates the need for a front derailleur. Not all cranksets are made the same though, some have lighter materials and are stiffer, which translates to more power transfer. 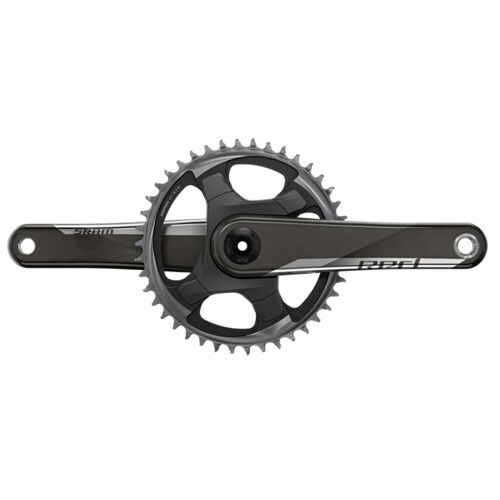 The SRAM Red 1x DUB Crankset has a single-ring that simplifies the functionality and reduces the weight. It features carbon fiber crankarms that are lightweight and durable. The chainring has SRAM X-Sync wide-tooth, narrow-tooth technology that provides maximum chain control and the chainring has a laser-etched finish that is more durable.